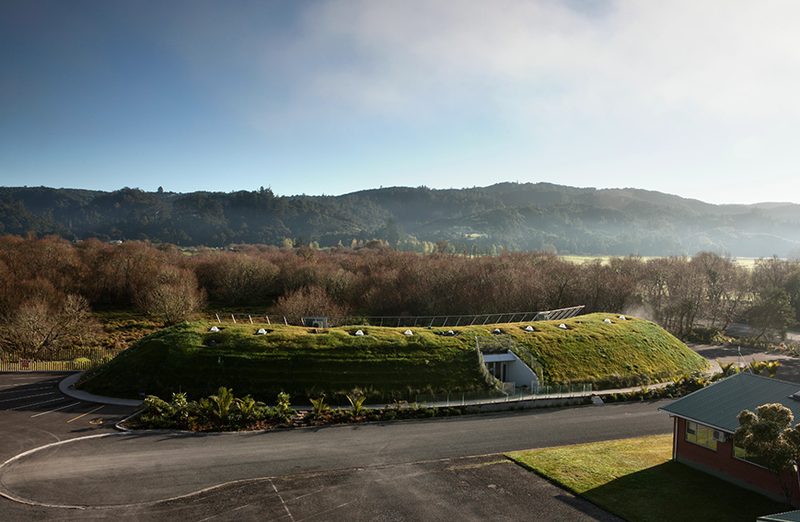 The combination of Maori tradition and environmental ambition has produced an award-winning building and a unique childcare centre for the Maori tribe of Ngãti Hine, in the small town of Kawakawa on New Zealand’s North Island. 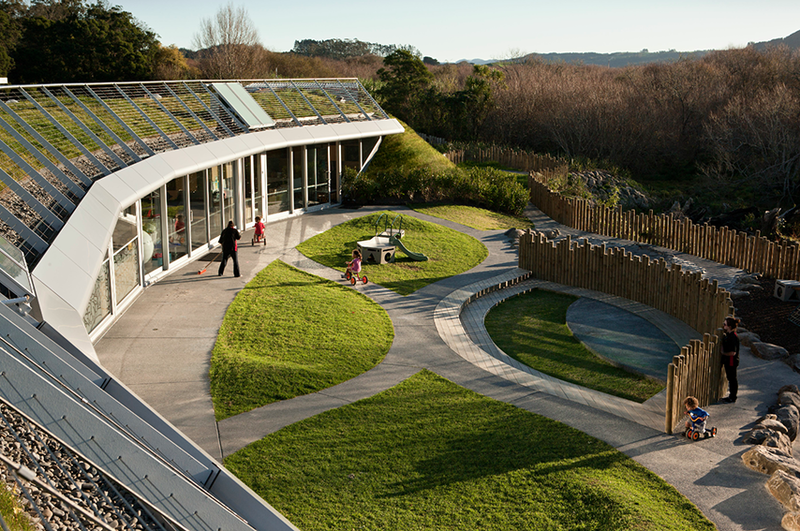 Te Mirumiru, an early childhood centre for children from birth to five-years-old, has scooped the Leadership in Sustainable Design and Performance Award at the World Green Building Council’s regional leadership awards. In doing so, the centre, New Zealand’s first commercial earth bank building, beat fifty-seven other projects, including designs from China, Japan and Singapore. 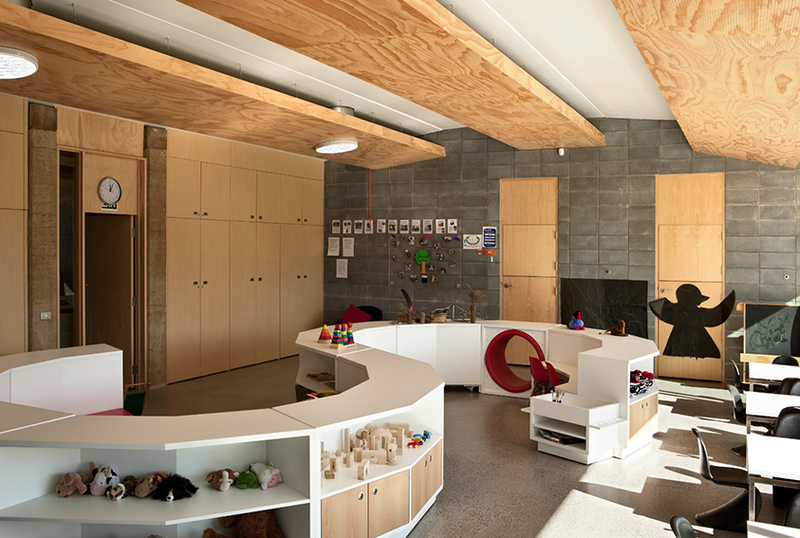 Designed by Collingridge & Smith Architects, a UK/New Zealand practice, the centre is one of only three buildings rated “Six Green Stars” in New Zealand and the only Green Star rated childcare centre in Australasia. The key to the centre’s success is the way in which its environmental aspects dovetail with Maori culture and customs. Understanding the importance of tribal history, Collingridge & Smith designed the building by shaping the land in which it sits into a curved, womb-like form. 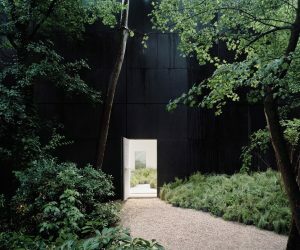 The only opening, on the north side, is described by the architect as “reading as a cut in the earth”, which symbolically represents the cesarean birth through which all Ngãti Hine children enter the world. This is a tradition passed down from Hine ã Maru, the first recorded Maori woman to deliver a child by cesarean section and survive, some 600 years ago. The architectural form of the building, along with its northerly facing opening, also works extremely well from an environmental perspective. The rear and roof of the building are built into the earth and grassed-over, insulating it skillfully. The wall of windows on the north elevation allows in ample daylight, which is supplemented by solatubes on the roof. Internally, the reception desk and corridor walls are lined with plywood in a traditionally inspired pattern, which evokes a waka huia (treasure box) where the most treasured items of the Ngãti Hine are kept. 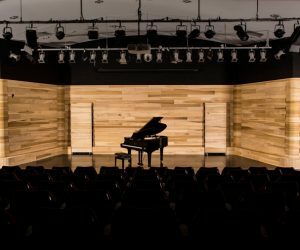 The relatively low illumination levels, combined with the light above the reception desk (which is a solatube), represent creation – Tane separating his parents, earth and sky, to create the world of light. or zero VOC qualities to ensure the best possible air quality within the building. The brightly lit main play and learning areas within the building are situated on the glazed north wall. In winter the expanse of glass allows in maximum light and warmth from the sun (any additional heating required is provided by a solar hot water underfloor system), while in summer the overhanging roof shades the building interior from the high sun, so maintaining the cool, thermally stable, earth insulated environment. Te Mirumiru is an exemplar for childcare facilities worldwide. 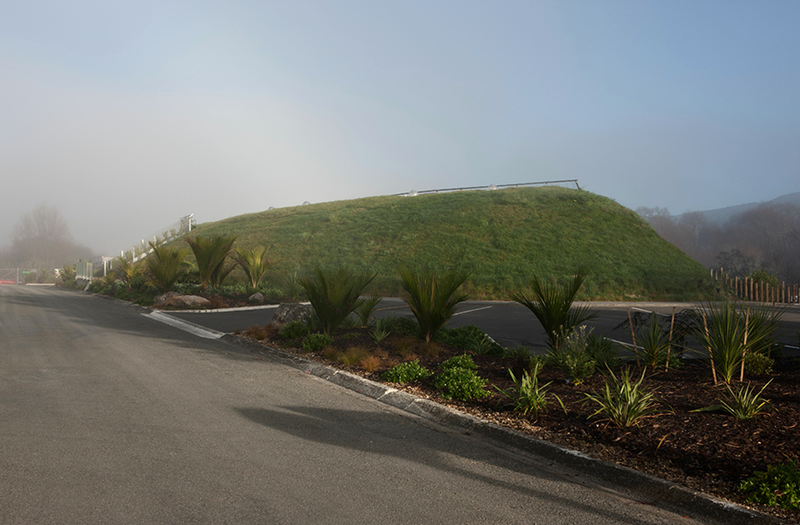 The design triumphs on many levels but critically it connects with and teaches the Maori children about their culture and customs, while making minimal impact upon the environment in which they live.